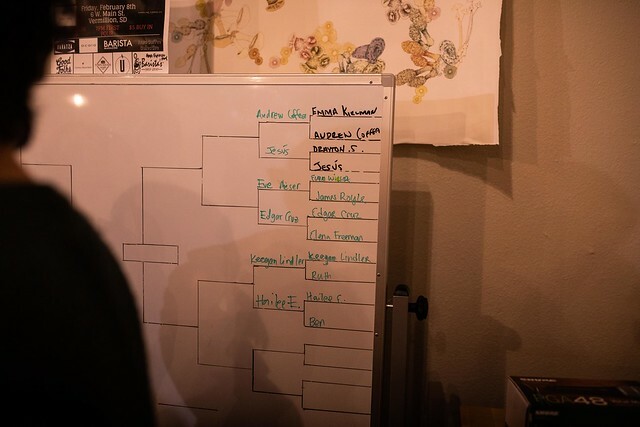 Over 80 people crowded The Bean for Vermillion’s first latte art competition on Friday. Christobal Francisquez, a barista at The Bean and organizer of ‘Latte Love,’ said the competition was a “big deal” for the community. Out of almost 30 competitors from around South Dakota and other states, three baristas took home prizes from the event. Jesus Iniguez from Stone Bru Coffee in Sioux City was the top finisher, Ashlynn Brunz from Coffea Roasterie in Sioux Falls took second place and Ren Lang from Horizon Line Coffee in Des Moines, Iowa, took third place. Francisquez said their prizes ranged in a variety of things from a coffee scale, a coffee brewer, milk pitchers, shirts and coffee. Madalyn Houlden, a student from the University of Nebraska-Kearney, also competed Friday night. She said she likes latte art because it’s unique to each person. Houlden said she was looking forward to meeting new people at the event. The night was for more than just appreciating latte art and coffee, though. All of the entry fees of the competitors went to United Way of Vermillion to help build a community connection center. United Way Executive Director Kelsey Collier-Wise told attendees at the event that the new center would host the United Way offices, the Vermillion Food Pantry, the Welcome Table and the Salvation Army. The purpose of the center is to combine all of Vermillion’s services under one roof to help fight the poverty rate in the city. There was also a donation box for the cause set up during the event and a booth where attendees could get more information. 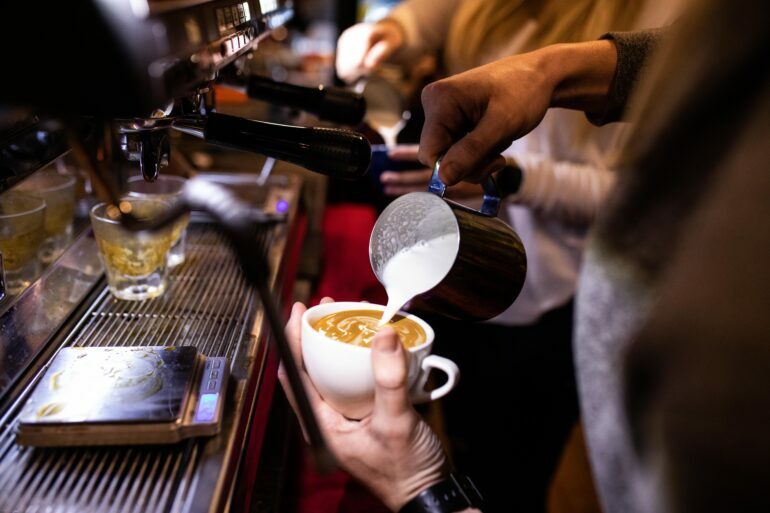 All baristas had to pay $5 in order to compete, but the event was free to the public to watch. Madi Miller, a junior chemistry and secondary education major, said the event was good for Vermillion. “I like hearing the purpose behind it that they’re trying to raise money and raise awareness about the poverty level in Vermillion,” Miller said.